ST. LOUIS, MO (10-8-2014) – EPIC Systems, Inc. has announced the hiring of Edward Pienkowski as Project Engineer. Pienkowski received his Bachelor of Science Degree in Biomedical Engineering from St. Louis University and his Master of Science Degree in Electrical Engineering with a focus on Fiber Optics, Laser Physics and Medical Imaging from Missouri University of Science and Technology. Pienkowski has a background in fiber optic medical imaging systems. He has further experience in: machine vision systems, Linux and Windows for industrial applications, machine vision system design, programming and inspection algorithms. 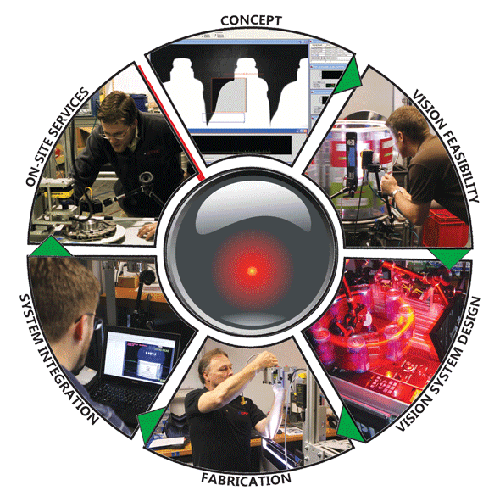 He has worked over two years developing and integrating electrical, optical and mechanical sensors. Most recently, he worked for the Systematic Group as a Design Engineer. Pienkowski’s primary responsibility at EPIC includes ongoing project management, software development and machine vision programming. His customer service and product development background allows him to work with large and small scale accounts.